The report claims that Spurs have reached out to Bilic’s representatives. The former Croatia national team manager has been with the Istanbul club since July 2013 and still has two-years left on his contract. 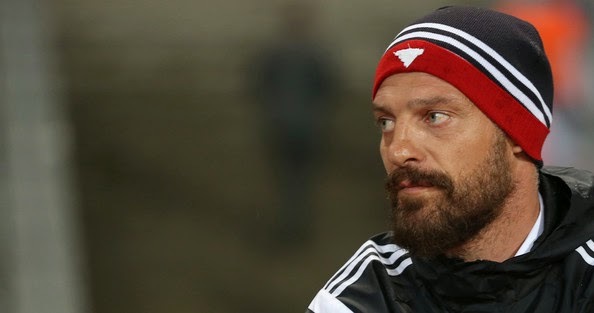 Beşiktaş are yet to offer the 46-year-old manager a contract extension but have made it clear that they do want Bilic to remain as head coach. Bilic recently underlined that he is happy at Beşiktaş but were he to move in the future it would be to a Premier League club. “I have not received an offer from West Ham however, of course like any manager one day I would like to manage in the Premier League,” Bilic. Bilic spent four years in England during his playing career. The former Croatia national team coach played for West Ham United and Everton. The Black Eagles are currently first in the Turkish Super League with 23 points from 11 games. Tottenham sit 10th in the Premier Leauge, far below pre-season expectations. Slaven Bilic has also been linked with Aston Villa in recent weeks.